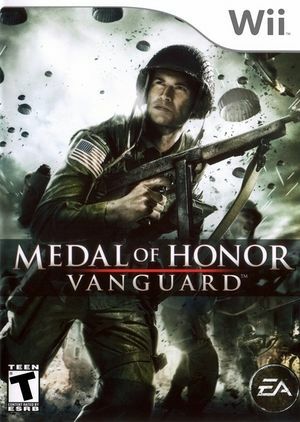 In Medal of Honor: Vanguard step into the boots of Frank Keegan, Corporal of the 82nd Airborne Division and engage in battles throughout Europe. From Operation Husky on the shores of Sicily to Operation Varsity inside Nazi Germany, you-ll fight behind enemy lines in the epic WWII battles that turned America's first paratroopers into heroes of WWII. Featuring spectacular graphics adding to epic combat intensity, Medal of Honor Vanguard makes you the driving force in the struggle to liberate Europe. The graph below charts the compatibility with Medal of Honor: Vanguard since Dolphin's 2.0 release, listing revisions only where a compatibility change occurred. This page was last edited on 16 January 2018, at 03:29.